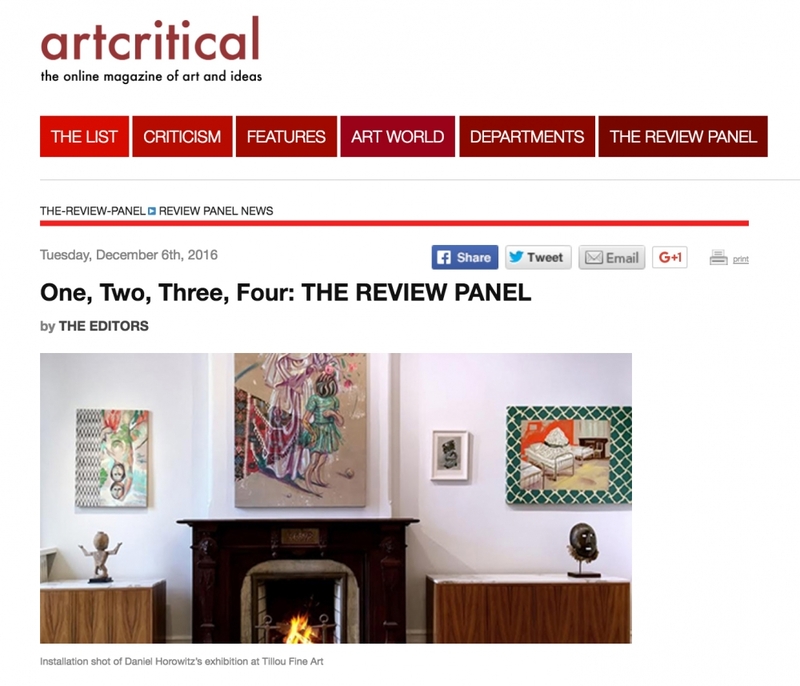 The Review Panel line-up for December can be expressed as a math riddle: One is two, in three, at four; two are at “one”; one is just one at one.But as not everyone in visual art is a Piero, an M.C. Escher or a Dorothea Rockburne, here is the information, spelled out, for the non-math heads among us. One of the artists under discussion December 13, Ai Weiwei, is the subject of two exhibitions, at three galleries (one at Jeffrey Deitch, the other at Lisson and Mary Boone) at four locations (Boone’s uptown and Chelsea spaces are both in play). The second and third shows to be discussed, Mark Leckey and Sascha Braunig respectively, are both to be seen under one roof, at PS1. The fourth artist, Daniel Horowitz, is a plain old one-man-show in one gallery in one Brooklyn brownstone, Tillou Fine Art. David Cohen’s guests at Brooklyn Public Library are Seph Rodney, Martha Schwendener and Ryan Lee Wong. Rodney and Wong are making their first appearance in the popular critics’ forum; Schwendener has been a regular in the series since 2006. Tillou is a weekend gallery—this Saturday, December 10, sees the second in the gallery’s monthly salons, organized by Ella Marder, this month on the theme of “The Philosophy and Psychoanalysis of the Image” with Jameson Webster, Chiara Bottici, and performance artist Clarina Bezzola. As a special courtesy for The Review Panel’s audience, the gallery is going to open on the Tuesday afternoon of the panel, December 13. In Clinton Hill, they are approximately 20 minutes walk to Grand Army Plaza. Please be sure to reserve seats at the panel as it is sure to be popular.